This brief movie catches Saturn's moon Tethys partially occulting the moon Dione. It shows the trailing hemispheres of both moons (terrain centered on roughly 270 degrees longitude). 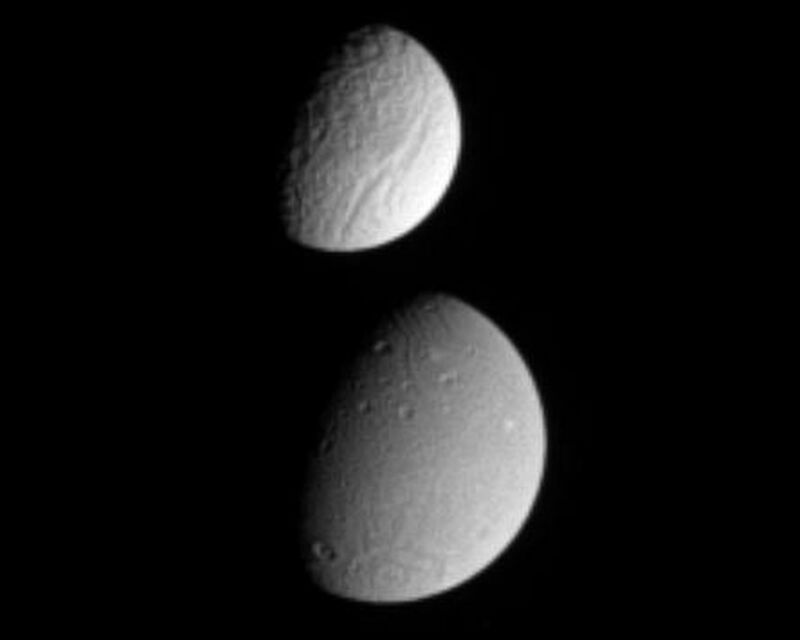 Some rotation is evident on Tethys during the sequence. 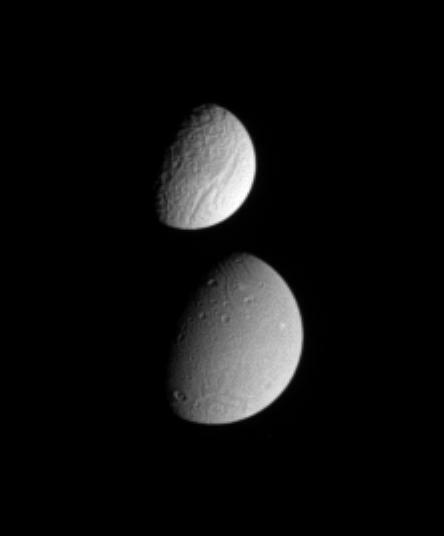 Tethys' diameter is 1,071 kilometers (665 miles). Dione's diameter is 1,126 kilometers (700 miles). The difference in the surface brightness of the two moons is immediately apparent. 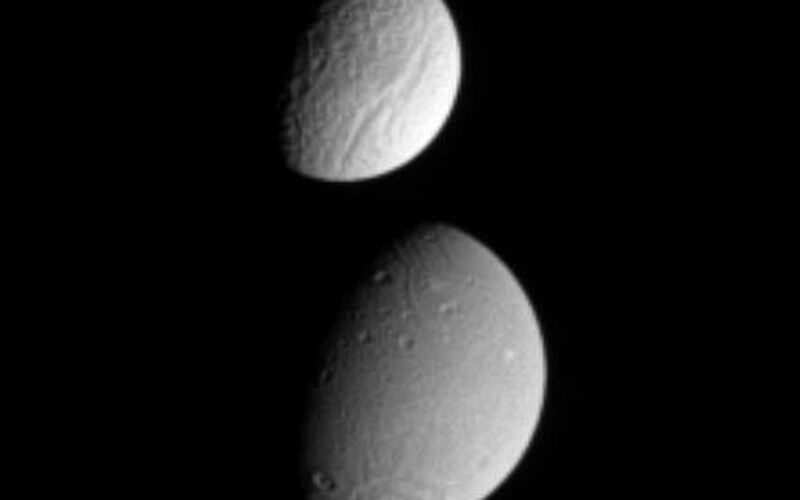 The images in this movie sequence were taken in visible light with the Cassini spacecraft narrow-angle camera on Sept. 11, 2005, at a distance of 2.4 million kilometers (1.5 million miles) from Tethys and 2.6 million kilometers (1.6 million miles) from Dione. The image scale is about 15 kilometers (9 miles) per pixel on both moons. A still image of this movie is also available (see PIA07621). It shows the two moons again, from an opposite viewing angle, with Dione in the near field.